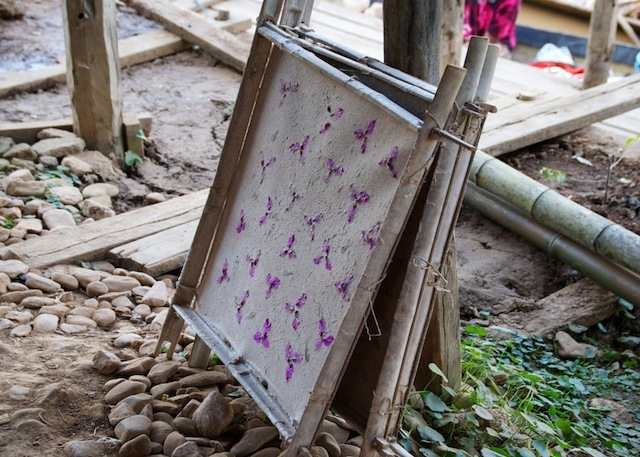 The artisans of this family-run workshop are making the famous Shan paper. 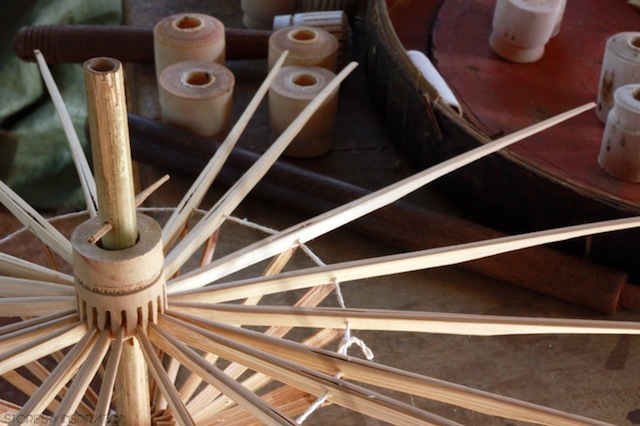 The workshop is situated in Pindaya, a town situated in Shan State near the Inle Lake. 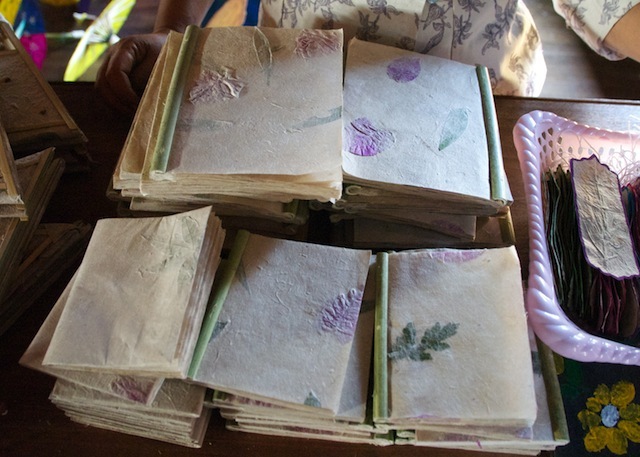 Stemming from the fiber of the mulberry tree, very wide-spread shrub in the mountains of the region, this paper is very well-known in Myanmar. The manufacturing process is rather long. 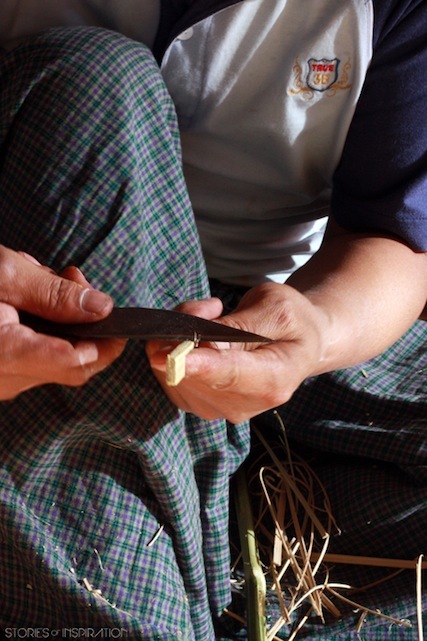 During a day, the fibers of mulberry tree are dipped into the water then get plastered in the wood fire during more than 5 hours with a mixture of wood ash or clay. 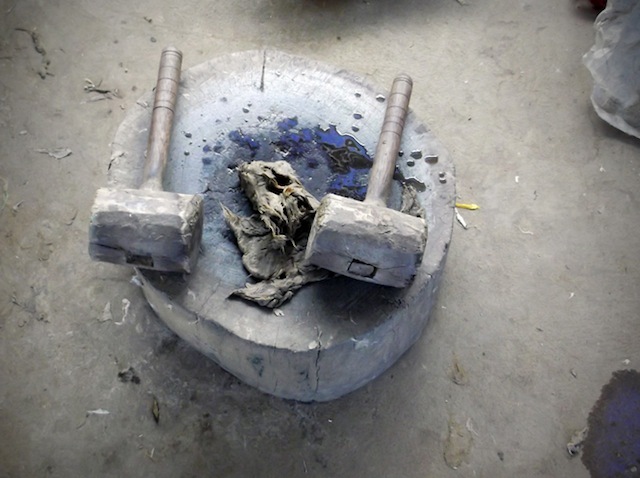 The paper dough, displayed on top of a trunk wood piece, is then beaten with a wooden mallet during several minutes. 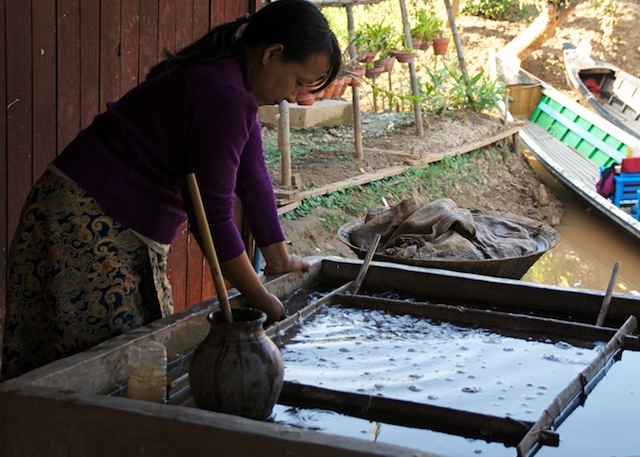 Later, a bamboo frame covered with a very fine cotton fabric (beforehand coated with oil) is settled at the bottom of a tank filled with water. 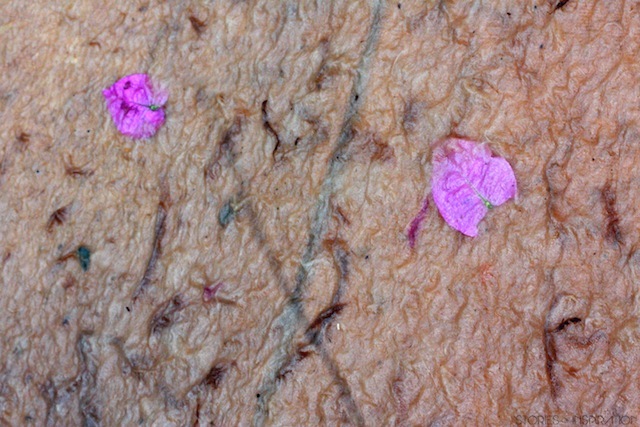 With a stick or with hands, the pulp of paper is diluted in the water and then distributed in a equal way on the canvas. After having removed air bubbles and lumps of paper, the frame is pulled out from the water tank, while the pulp of paper stays on the cotton canvas. 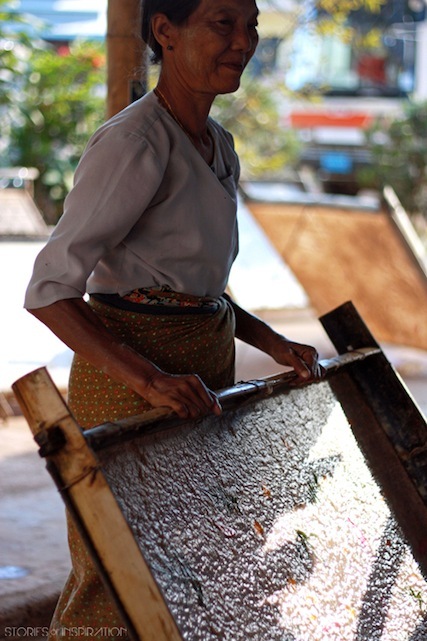 The frame and the pulp of paper will dry for hours in the sun and finally the pulp will be transformed into a paper sheet. Delicately, the sheet will be removed from the bamboo frame. 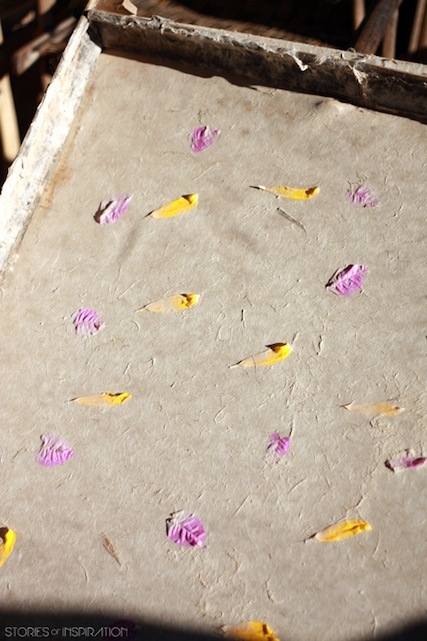 For the manufacturing of notepads, fans, lampshade or simple paper sheets, petals of flowers or small leaves are added on the pulp of paper before drying. 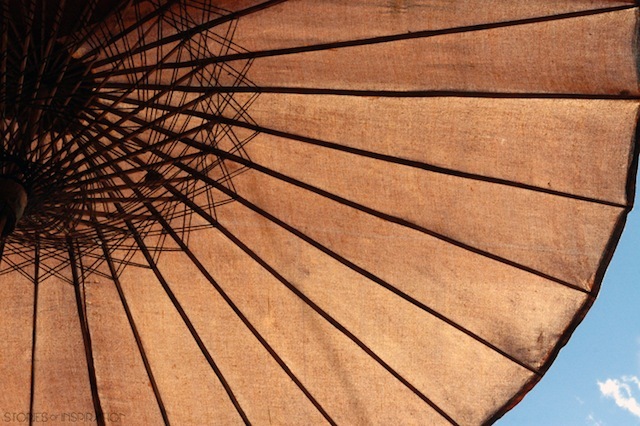 In this workshop, everything is made by hand, including the famous Burmese parasols. 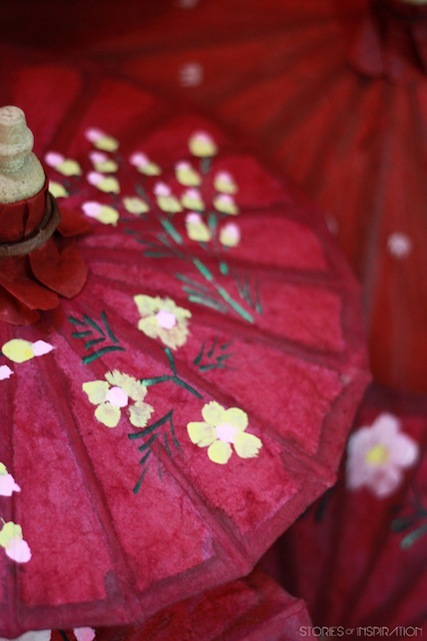 They are completely made by hand, from the bamboo handle and the pawl, which allows the parasol to stay opened, to the umbrella frame on which the paper sheets will be stuck. 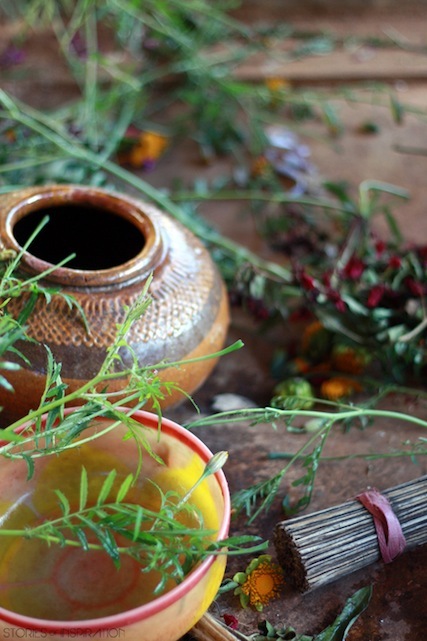 Guest post from Marina, author of Stories of Inspiration. Myanmar is the country in her heart. Fascinating, charming and exceptional. 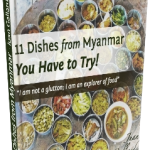 Marina lived sixteen months in Yangon and those months marked her life. 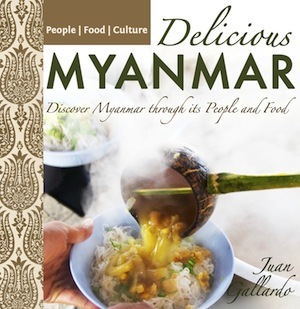 It is by walking on the streets of Rangoon and by travelling inside the country that the photo slowly imposed as being the best way to share those charming faces, those breath-taking landscapes and those scenes of everyday life of another time. Her desire through Stories of Inspiration is to share with you her pics, tips and especially, tempt you to travel! 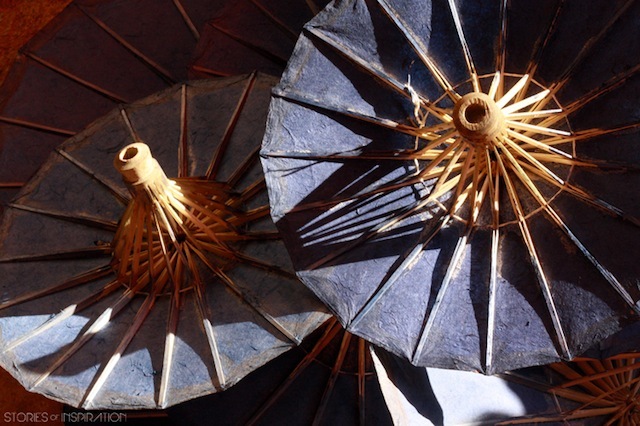 I would like to purchase an umbrella from the Pindaya umbrella workshop. Do you know how this can be accomplished? Thank you for your help. I will ask in Bogyoke market for prices and share the shop info here. I remember the shipping was quite expensive. Where are you located? 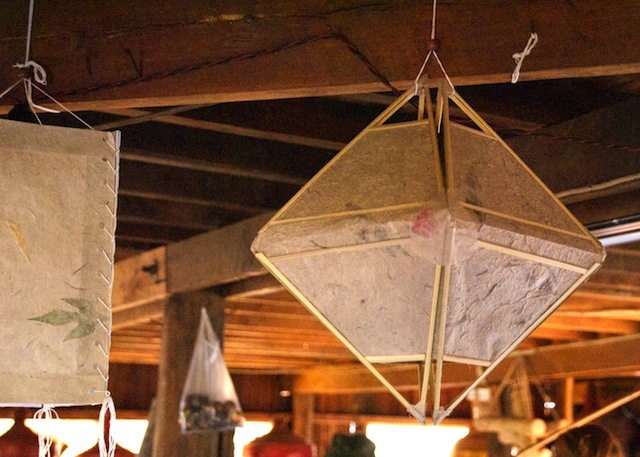 Hi, I would like to attend this workshop on paper making. How do I go about? This is a family-run workshop downtown Pindaya. You can go anytime and they will show you the whole process. Hi Anne-Marie, I don’t know the address of this specific workshop but there are many in the area. 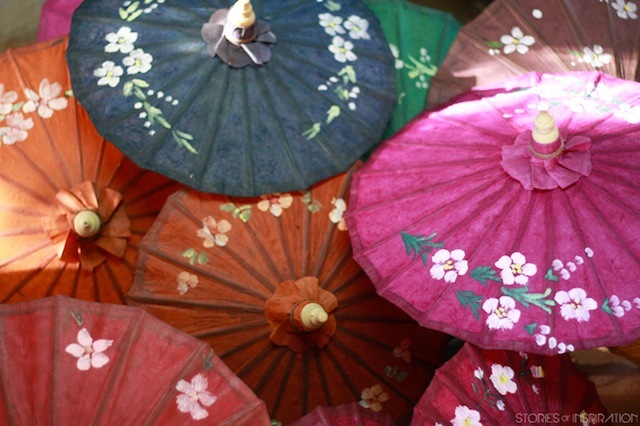 If you ask in your hotel or in a teashop I’m sure they can lead you to one of these Parasol workshops. I have several of these umbrellas, purchased 10 years ago. 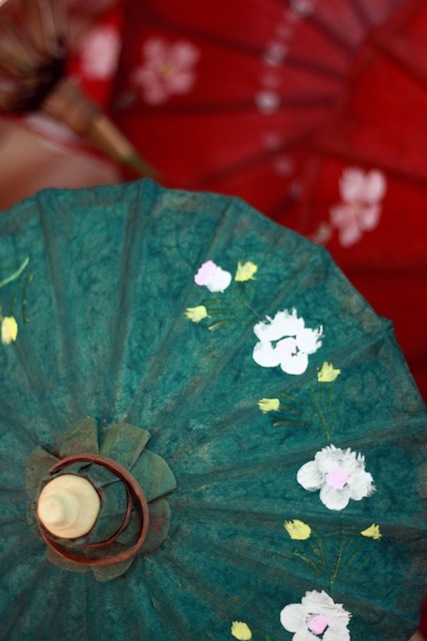 Do you happen to know what sort of oil they use, as I need to reapply to moisturize my umbrellas. Thanks very much, if you happen to have advice on this! Hi Kathleen, apparently they use an oil called in Myanmar “si say” and/or wax.